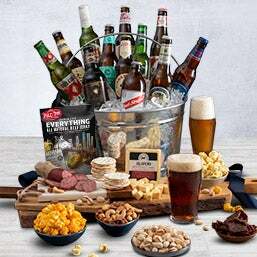 From the tastiest craft beers to the most popular brews in the world – our beer gifts have got it all! Sure, it’ll be a hard choice (they’re all SO good), but rest assured that our gifts for people who like beer are always well received! 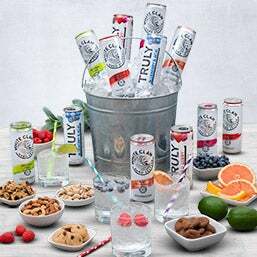 Next to water and tea, you know what the most popular beverage is? Beer. 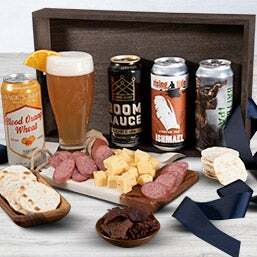 So, we hunted down some of the world’s best brews to offer in our beer gift baskets. Made with only the finest hops and barley, our beer selection won’t fail to impress. 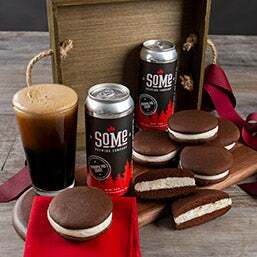 Besides being loaded with tasty brews, each of our beer gifts are paired with tasty gourmet treats so no matter where your gift is headed, they’re sure to be greeted with a bit of a party. 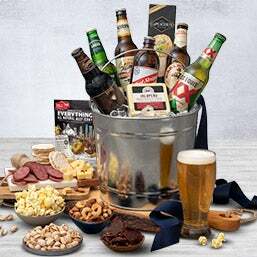 Beer baskets are a great choice – as a gift for him, for Father’s Day, a birthday, or to say congrats. 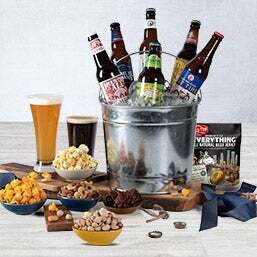 We’ve arranged our unique beer gifts so they’re perfect for whoever, whenever. The Great Beer Page - What made the world what it is today? BEER! Find out why everyone’s favorite brew was key to the development of civilization…and college parties everywhere. Beer Glossary A to Z - We’ve got you covered from Ale to Zymurgy! This helpful glossary of beer terms defines everything you need to know about delicious, frothy brews! A Guide to Drinking Beer in Europe - Europe is practically buried in famous pubs and bars, but that doesn’t mean they’re all great. This list is essential to finding the good haunts in Europe! How to Make Your Own Beer - Brewing your own beer is totally fun – but it is a lot of work. Click here and find tips and techniques for how to create delicious brews in your home!